London Winter Run - How do I find my start time? London Winter Run - Can I listen to music during the race? 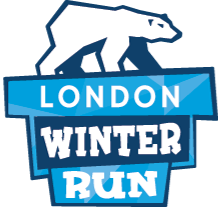 London Winter Run - Is there a cut off time for this event? London Winter Run - How will my time be recorded? There is no set cut off time but we advise all runners to be aware that they will need to complete the course by 12.30pm. This is to minimise the impact on the local residents & businesses, as roads will begin to re-open shortly after this time. London Winter Run - Will there be a secure area to store a bag? London Winter Run - I need to cancel my booking; what are my options? London Winter Run - When is the Cancer Research UK London Winter Run?